Please indicate as quantity the number of the required active user accounts of the product. 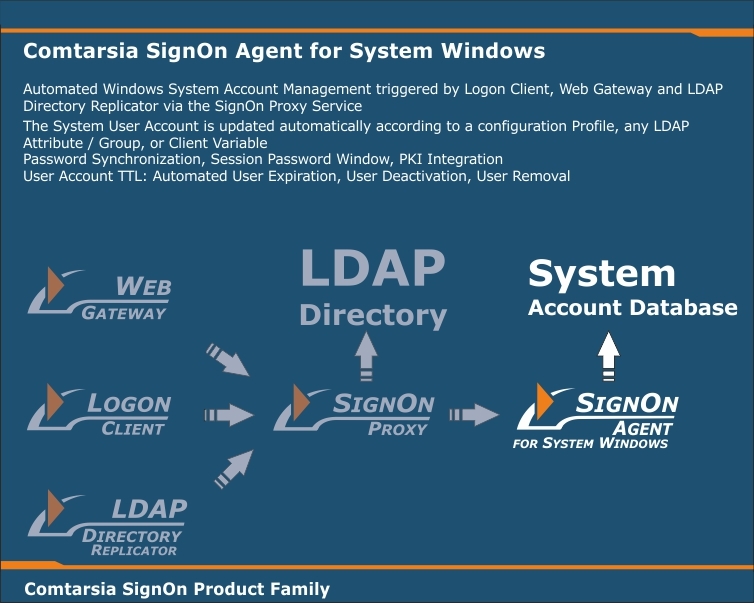 Example: If you put 30 pieces in the shopping cart, a Comtarsia SignOn Agent for Windows System 2016 licence key for 30 active user accounts will be issued. The license key are issued immediately after payment and can be activated. A cancellation of the purchase is not possible. Please download the product and test it in detail with the included evaluation key before purchasing. 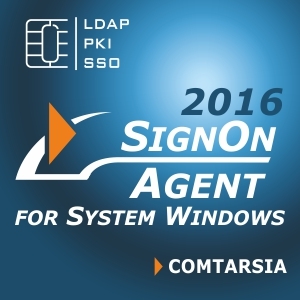 Contact the Comtarsia support team if you have any questions about the products or need assistance with the configuration. This webshop is for business customers only. Prices do not include VAT. Dieser Webshop ist nur für Geschäftskunden. Preise enthalten keine Mehrwersteuer.